I read. A lot. And one thing that irritates the snot out of me is poor (or non-existent) proofreading. Surprise, surprise. I already complained about it six years ago. And in those six years, it’s gotten worse. I’m currently slogging my way through the last book in a series because they’re cute stories, but Oh. Em. Gee. The errors. Missing open- or close-quotation marks. (Especially the open-quote – makes it difficult to figure out what the hell is going on.) Wrong word usage. (You wear a brooch; you broach a subject, for example. Both are valid words and spellcheck won’t catch the error.) Even her own notations are still there: there’s a phrase in brackets toward the end of one book I’m fairly certain she wanted to consider changing. This author (whom I will not publicly shame) has another series out. I won’t read it, no matter how fun this first set of stories. I will move on to a different, hopefully better proofread, author. (If they hadn’t been on Kindle Unlimited, I wouldn’t have even read the second book in the series.) I won’t write really bad reviews, so won’t review her on Goodreads. Because they’re anonymous, I’ll tell you I two-starred her books on Amazon. Yeah, the grammatical errors brought it down from four – it really detracts from the enjoyment. Here’s the thing, Independent Author: poor proofing costs you money. If you have more than one book out, people won’t buy the next. I’ve known of people returning books because the poor grammar makes the book nearly unreadable. If you’re in the Kindle Unlimited program, they won’t read all the way to the end of the book. And remember, those of us with disposable income are your bread and butter – not your friends who don’t care if your book is sloppy. And yes, I know. Proofreading, much less editing, is expensive and most independent authors can’t afford it. I know how much I don’t make on my books and it’s the same for everyone else. (Unless you’re Stephen King, George R. R. Martin, or someone in that echelon.) I can afford an editor and do use one because as good as I am at self-editing, I can’t see all my own damned mistakes. So, I’m hanging out a shingle as a cheap proofreader. Why? Public Service. 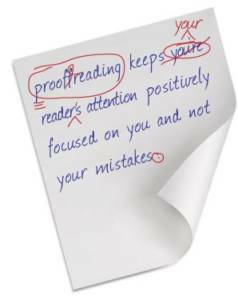 As I said, most indie authors can’t afford a proofreader, much less a full-fledged editor. Professional proofreaders charge approximately 2¢ per word. On a 60,000 word book, that’s $1,200. Even I won’t pay that much. But with decent proofing, your readers won’t want to get out their red pencil three pages in. Chances are, you’ll sell more copies of the next book; or people will read all the way to the end, giving you a larger slice of the Kindle Unlimited pie. Then there’s that thing I mentioned in the linked post about kids learning English by reading. Important! I have the time. I’m semi-retired from my day job and after Amy’s third adventure goes to print, I don’t know if I’ll write another book. Although there are ideas in the back of my noggin, I might; I might not. I can’t spend all day in the garden because my joints are no longer willing to work that hard, and there are those rainy summer days and dreary winter months where I won’t spend any time at all out there. And no one wants to top-to-bottom clean house every day! I said cheap, not free. I am not a professional, just your everyday grandmother with, apparently, a better grasp of grammar (in its larger sense) than some. I’m not a copy editor*. I won’t help you structure your book or make suggestions to make it better. I also won’t promise perfection – I’ll probably miss something here or there. (I’ve caught errors in books put out by major publishing houses. No one’s perfect.) But to give away that sort of service would imply that it’s not work. It is. While I can read a book quickly for enjoyment, reading it critically takes more time. And it seems a service is more valued if money changes hands. So…here’s a deal. $50 for any book up to 80,000 words. Fiction only; no erotica or horror – I can’t even slog my way through those genres. For most authors on Kindle, that’s going to amount to the income from about 18 books – or 2 weeks’ worth of a daily iced mocha half-caf, shot-of-vanilla latte. At that price, it should be worth it. What do I get out of it? First, a chance to help independent authors. Second, perhaps a chance to read the next-to-hit-it-big author before anyone else (apart from family and friends, that is 😉 ). If this is of interest, email me at dj[at]authordjmartin[dot]com and we can talk. I’d love to help. *If you’re looking for a good editor, mine is awesome and reasonably priced. I’m happy to put you in touch with her. This entry was posted in Musings and tagged indie author, Proofreading on June 13, 2018 by DJ.